listen); Gronings: Grunnen; West Frisian: Grins) is the main municipality as well as the capital city of the eponymous province in the Netherlands. With a population of around 190,000, it is the largest city in the north of the Netherlands. Groningen is a university city, inhabited on average by about 37,000 students. The city was founded on the northernmost point of the Hondsrug area. The oldest document referring to Groningen's existence dates from 1040. However, the city already existed long before then: the oldest archaeological traces found are believed to stem from the years 3950-3720 BC, although the first major settlement in Groningen has been traced back to the 3rd century AD. In the 13th century, when Groningen was an important trade centre, its inhabitants built a city wall to underline its authority. The city had a strong influence on the surrounding lands and made its dialect a common tongue. The most influential period of the city was the end of the 15th century, when the nearby province of Friesland was administered from Groningen. During these years, the Martinitoren was built, which loomed over the city at (then) 127 metres tall, making it the highest building in Europe at the time. The city's independence came to an end when it chose to join forces with the Spanish during the Eighty Years' War in 1594. It later switched sides, joining the Republic of the Seven United Netherlands. The University of Groningen (in Dutch: Rijksuniversiteit Groningen) has a rich academic tradition which dates back to 1614. After the University of Leiden, it is the oldest university located in the Netherlands. The university educated the first female student and the first Dutch national astronaut in the history of the country, the first president of the European Central Bank and a Nobel prize winner. They share their academic roots with around 200,000 people, who were either students, teachers or researchers at the university. Groningen has the highest percentage of students by total population, approximately 25 percent. The city is nationally known as the "Metropolis of the North" and as "Martinistad" referring to the Martinitoren. The most important and most famous museum in Groningen is the Groninger Museum. With the construction of its current building, designed by Alessandro Mendini, the museum has been transformed into one of the most modern and innovative of its kind in the Netherlands. In addition, the city also has a maritime museum, a university museum, a comics museum, a graphical museum and a tobacco museum. Groningen is also home of Noorderlicht, an international photographic platform that runs a photo gallery and organizes an international photo festival. Groningen has its own city theatre (Stadsschouwburg), located on the Turfsingel; a big theatre and concert venue called Martini Plaza; and another major cultural venue on the Trompsingel, called the Oosterpoort. Vera is located on the Oosterstraat, Grand Theatre on the Grote Markt, and Simplon on the Boterdiep. Several cafes feature live music, a few of which specialize in jazz music, including Jazzcafe De Spiegel on the Peperstraat. The jazz music students from the Prins Claus Conservatorium have been known to hold regular jam sessions in cafes such as Peter Pan on the Voor Het Voormalige Klein Poortje and café De Smederij on the Tuinstraat 2–4. Groningen is also the host city for the Eurosonic Festival, an annual music showcase event for over a hundred bands from all over Europe. Groningen's nightlife depends largely on its student population. Its cultural scene is vibrant and remarkable for a city of its size. In particular, the Grote Markt, the Vismarkt, and the Poelestraat and Peperstraat are crowded every night of the week, and most bars do not close until 7 in the morning. 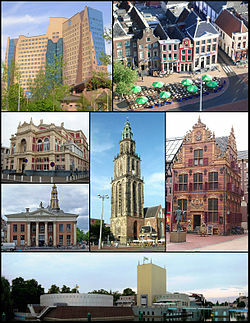 Between 2005 and 2007, Groningen was elected "de beste binnenstad" (the best city centre) of the Netherlands. There are also two red-light districts, one in Nieuwstad (a street) and one in the A-kwartier (an area). Both of them are in or near the city centre. The city council has 39 members. The left-wing parties PvdA and GroenLinks are the largest. After the elections in 2002, they formed a coalition with CDA and VVD. Peter Rehwinkel has been the mayor since 2009. As a result of the elections of 2006, three left-wing parties (PvdA, GroenLinks and SP), decided to form a new coalition, which was appointed on 26 April 2006. Until recently, there were two large sugar factories inside the city boundaries. The factory of the Suiker Unie was originally outside of Groningen, but it was completely swallowed by the expansion of the city. After a campaign to close the factory, it was finally shut down in 2008/2009. Before closing down, the sugar production amounted to 250,000 tonnes of beet sugar, with 250 employees (2005 figures). The only remaining sugar factory is CSM Vierverlaten in Hoogkerk, which produces 235,000 tonnes of beet sugar, with 283 employees. Other well known companies from Groningen are Hooghoudt (a producer of alcoholic beverages, genever and beerenburg, amongst others), publishing house Wolters-Noordhoff and Theodorus Niemeyer (a coffee, tea and tobacco company). Topographic map image of Groningen, 2010-2011. Groningen has been called the "World Cycling City", since 57% of journeys within the city are made by bicycle. The city is very much adapted to the wishes of those who want to get around without a car, as it has an extensive network of segregated cycle-paths, good public transport, and a large pedestrianised zone in the city centre. The transformation of the historic centre into a pedestrian priority zone enables and invites walking and biking by making these active modes of transport comfortable, safe and enjoyable. These attributes are accomplished by applying the principle of "filtered permeability". It means that the network configuration favours active transportation and selectively, “filters out” the car by reducing the number of streets that run through the centre. While certain streets are discontinuous for cars, they connect to a network of pedestrian and bike paths which permeate the entire centre. In addition, these paths go through public squares and open spaces increasing the enjoyment of the trip (see image). The logic of filtering a mode of transport is fully expressed in a comprehensive model for laying out neighbourhoods and districts – the Fused Grid. In the Italian TV programme of investigative journalism "Report" appeared a short film, considering the use of bikes in Groningen a good practice to emulate in Italy. There are also direct buses between Groningen (train station) and Bremen (airport) in Germany, run by Public Express. In the near future, there are plans to build a tram route connecting the central station, the city centre and the university complex (Zernike). Groningen Airport Eelde is located 10 km south of the centre of Groningen, with scheduled and holiday charter services to European destinations. Groningen has a cool temperate climate similar to most of the Netherlands, although somewhat colder in winter than other major cities due to its northeasterly position. Groningen has relatively cool summers and cold winters. Weather is influenced by the North Sea to the north-west and its prevailing north-western winds and gales. Winter temperatures are cool: on average above freezing, although frosts are common during spells of easterly winds blowing in from the inner European continent, i. e. Germany, Russia and even Siberia. Night-time temperatures of −10 °C (14 °F) or lower are not uncommon during cold winter periods. The lowest temperature ever recorded is −26.8 °C (−16.2 °F) on February 16, 1956. Snow often falls, but rarely stays consecutively due to warmer daytime temperatures although white snowy days happen every winter. Summers are somewhat warm and humid. Temperatures of 30 °C (86 °F) or higher occur sporadically, most average daytime high's are around 22 °C (72 °F). Very rainy periods are common, especially in spring and summer. Average annual precipitation is about 900 mm. Sunshine hours vary,but are usually lacking below 1400 hours,creating a grey climate feeling,similar to most of the Netherlands. The football stadium of FC Groningen is called Euroborg. Opened in January 2006, the stadium has 22,600 seats. There are plans to expand the stadium to a capacity of 35- or 40,000. The former football stadium of FC Groningen is the Oosterpark Stadion (12,500 seats). ^ "Winnaars 2005 - 2007 -- Verkiezing Beste Binnenstad [Winners 2005 - 2007 -- Election Best City Centre]" (in Dutch). www.debestebinnenstad.nl. http://www.debestebinnenstad.nl/winnaars/winnaars-2005-2007/grote-binnenstad/. Retrieved 15 February 2012. ^ "Groningen – Partner Cities". 2008 Gemeente Groningen, Kreupelstraat 1,9712 HW Groningen. http://www.groningen.nl/functies/pagfunctie.cfm?parameter=1285. Retrieved 8 December 2008. ^ "Twin Towns – Graz Online – English Version". www.graz.at. http://www.graz.at/cms/beitrag/10045157/606819/. Retrieved 5 January 2010. 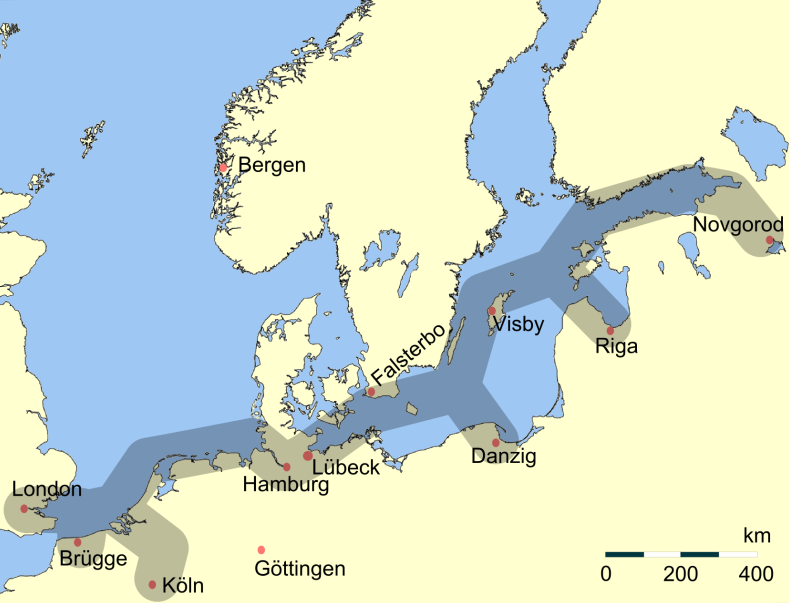 ^ "Kaliningrad – Partner Cities". 2000–2006 Kaliningrad City Hall. http://www.klgd.ru/en/search/index.php?q=partner+cities&where=. Retrieved 8 December 2008. ^ "global ideas bank". globalideasbank.org. 15 October 2007. http://www.globalideasbank.org/site/bank/idea.php?ideaId=378. Retrieved 14 July 2009. ^ "Rai.tv". Rai.tv. 15 October 2007. http://www.rai.tv/mpplaymedia/0,,RaiTre-Report%5E23%5E37292,00.html. Retrieved 5 May 2009. ^ "World Weather Information Service – Amsterdam (Schiphol)". Worldweather.org. 5 October 2006. http://www.worldweather.org/037/c00143f.htm#climate. Retrieved 5 May 2009. Wikisource has the text of a 1905 New International Encyclopedia article about Groningen. This page uses content from the English language Wikipedia. The original content was at Groningen. The list of authors can be seen in the page history. As with this Familypedia wiki, the content of Wikipedia is available under the Creative Commons License.